The cutting test, to which the Viro Blocca Catena and its imitation have been subjected, consists in an attempt to cut a link of the chain of our product and then one of the imitation product. For this type of test we have used a machine present in our testing laboratory which, by using a mechanical arm, operates a hacksaw to simulate the action of cutting tools used by thieves. The result can be seen in the following video, which shows a comparison of the 2 chains after the cutting test. The original Made in Italy product with stands cutting, whilst the copy imported from the Far East cuts extremely easily. MATERIAL: the chain of the Viro product with stands the cutting with the saw, as it is tempered and case-hardened. On the contrary, the chain of the imitation product shows that it has been manufactured with simple mild steel, which has not been heat treated, so it can be cut very easily. LINK PROFILE: The Viro chain is fitted with semi-square links, which are more difficult to cut with shears than the more common links, which are generally round or square fitted (as can be seen in the photo of the copy). The semi-square profile is more complicated to grip with shears, which generally have blades suitable for cutting round profiles or, sometimes, square profiles, but blades do not exist which are suitable simultaneously for both types of profiles. LENGTH OF CHAIN LINKS: The Viro chain has very short links, in which it is harder to insert a lever or a cutter. In fact, they are more resistant to attempts to widen them. 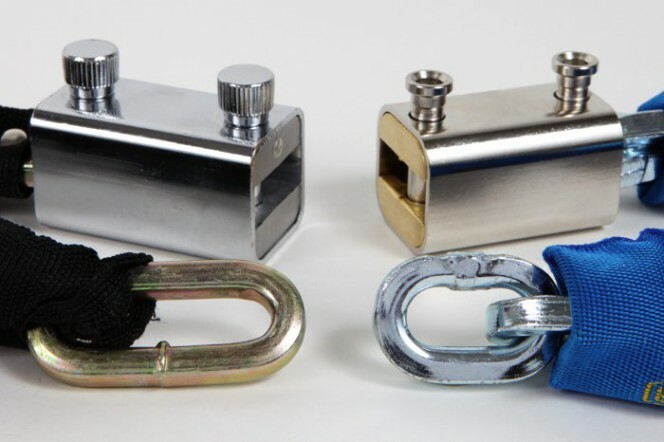 The chain links of the copy are almost twice as long, making it more vulnerable to attacks with burglary tools. 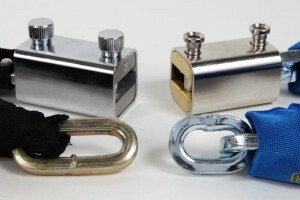 Obviously, with the same overall length, a chain made up of a greater number of short links has a higher manufacturing cost, because it needs more material to produce it, but it is also true that a short link represents a considerable advantage in terms of security, since the longer the links are which make up the chain the easier it is to insert cutting tools to break or cut them. The Viro chain has passed this second test brilliantly. 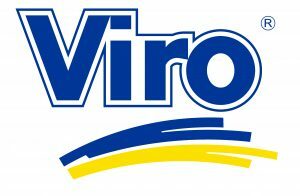 In the blog next week the Viro product and its copy will undergo a third test, that of resistance to blows.